Reduce Your CPU and Memory Usage of all Browsers by reduce usage of Windows Explorer All Browsers Memory Zip Support up 40+ Web-browsing. 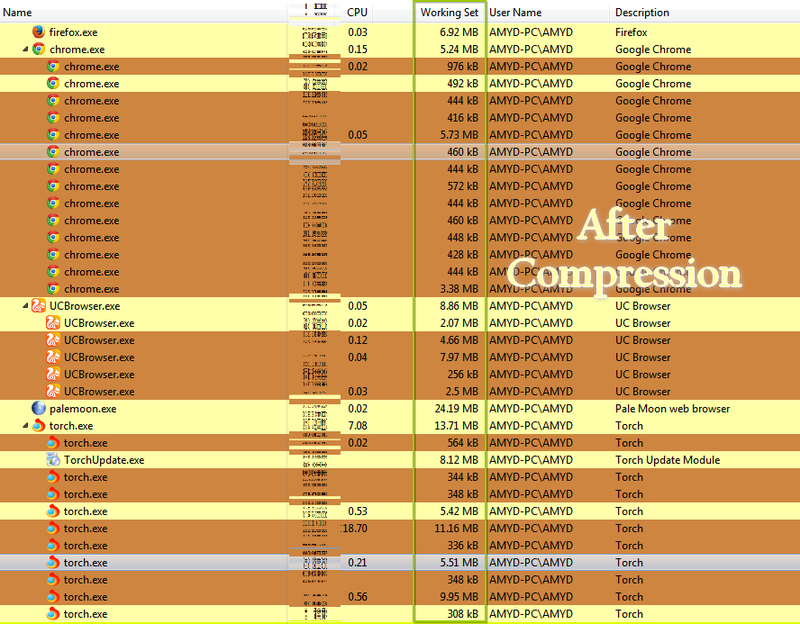 - Compress All internet Browser's Memory. 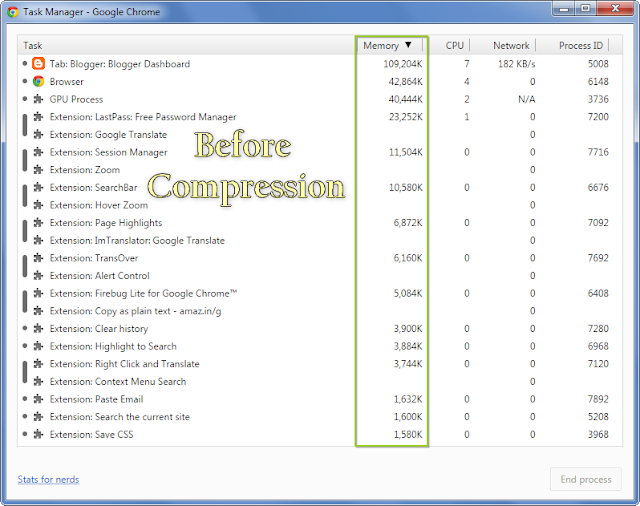 - Compress Windows Explorer Memory. - Make your Computer Perform Faster. Add hot keys option for usage controller and exit . Fix Bug with Vivaldi Browser (Memory leak). Just run it before Start Your Internet Browsers and it will be Automatically compress your internet browser memory you can change your internet browser memory usage by right click on system tray icon and select " Usage Controller ". Thank you, me From Philippines! i love u just like i love my old laptop. 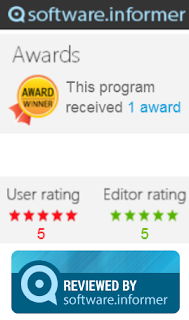 Nice Program, its works great. btw i will post about your's applications in my blog..
How can it reduce the memory ? Does it different from other RAM optimizer software? - Try it and you will see the difference. Mr. Dahab, I'm very interested by your program here. May I ask, is it compatible with Firemin? And is it compatible with CleanMem? Even if it's not compatible with Firemin, I think I need to get it for my ComodoDragon, which has really gotten slow with a lot of tabs. So slow I'm not able to spend much time on resolving and retiring the excess tabs. You can use All Browsers Memory Zip only to cleanup and refresh your internet browser memory but -> Yes Compatible with Firemin and CleanMem . Thank you for that information, sir. I have downloaded the program, but I am having a problem. A balloon says New value set successfully. But the settings that I make on the Usage controller reverse as soon as I click it out back down to the tray. I set it on Opera, and it goes back to Google Chrome. I set it on 80 MB and it goes back to 50 MB. I changed the Usage key and it shifts back. I press Set when I make the settings. I've pressed Change. What gives? This problams have been Fixed in new version . I am very impressed by this program, and I will spread the word about it online. I do have the latest version. It is necessary for me to keep the interface on my screen, as far to the edge as possible, in order to keep the correct browser restrained instead of Google Chrome. 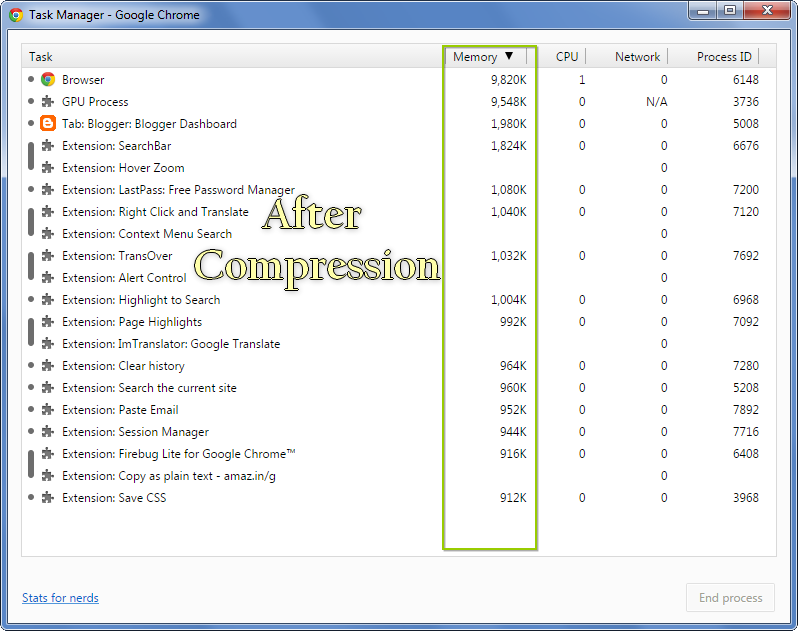 All Browsers Memory Zip is very use full tool, can you make it in Mac version? I'm sorry to say that you have become a victim of your success: your download links don't work because too many people are using them. Dropbox reports that: "Error (509). This account's public links are generating too much traffic and have been temporarily disabled!" You could work around this by setting up a "mirror" on Box or SkyDrive. Can you please add support for Waterfox? the link for 1.4.5 is down. Couldn't start installed application v.1.5.3 on Win-7 OS, there's no other choice in start menu folder apart of link to author's webpage & uninstall option. cromium secure, comodo chromodo,comodo icedragon and chromium secure not here. and yandex,maybe i forget write. How about including Microsoft Edge Browser? I received an error "Movefile Code 5" ? Your Anti-Virus may be blocking the access to the install Or to "All Browser Memory Zip. exe"
Please check your installation zip file md5 and see my avira scan result . I have just installed version 1.5.5 on Windows 2003 and tested it with a few browsers (a few versions of old and new Opera and of Iron). It seems to hold all those memory hogs at bay, as advertised. 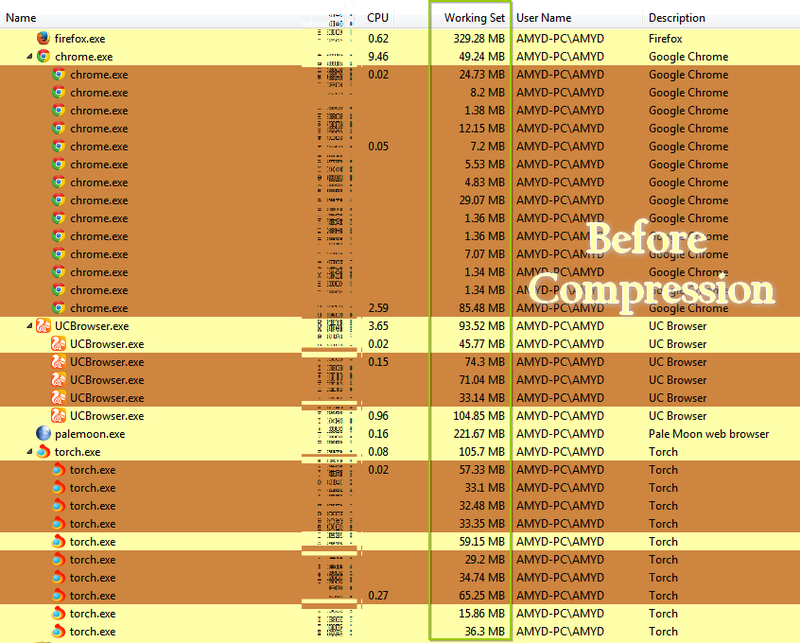 However, once I closed all the browsers, I was left with about 1.3 GB of ram "unaccounted for": they were showing in Task Manager, but didn't seem to belong to any process. Another thing I noticed was that once the monitoring was active (with no browser, on a clean rebooted system), the memory used was increasing at a rate of about 15 MB/minute. Once the monitor was paused, the increase stopped. Once it was "un-paused", the increase showed up again. Are those bugs, or features I don't understand? Thanks for the effort you put in this much needed tool. Program çok iyi, çok teşekkür ederim! THX! by created excellent soft. downloading now! It works great with Opera :) Thanks! it really works! thank you man. BTW, I think it's better if you fix the ui design and the app icon.